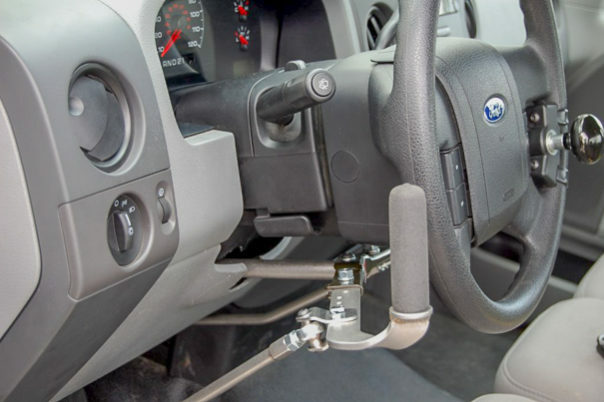 Automotive hand controls and driving aids can be installed on any vehicle, accessible or non-accessible. Our skilled technicians can help choose the best controls for you; from MPS, Guidosimplex, Sure-Grip, Veigel, etc. Handicap driving controls allow for miles and miles of relaxed trouble-free driving. All hand controls and accessories may be used for right or left hand operation. An automatic transmission is required, and must only be installed in wheelchair accessible vehicles with power steering and brakes. Accelerating and braking are distinctive and easy to use in the flow of traffic. 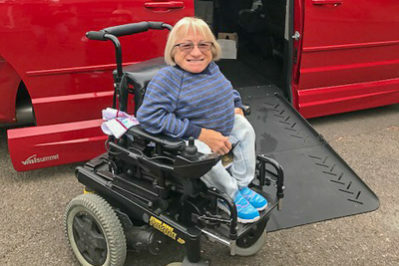 Terri was born with Brittle Bone Disease which makes riding in a transport vehicle challenging, she also is a little person. 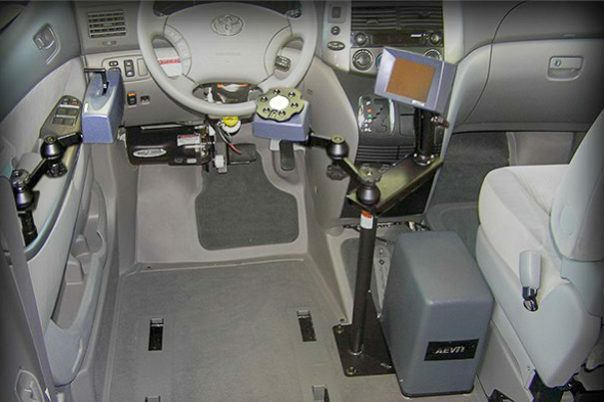 She purchased a 2013 Toyota Sienna BraunAbility wheelchair van from us and we installed a B&D Transfer seat and Viegel pedal extensions for her to be fully independent.